It’s music to our ears – and for many others, too. Chuck Ainlay is a producer/engineer who has recorded and/or mixed more than three hundred albums. His resume also includes multiple Grammy wins and Academy of Country Music awards. Over the course of his career, Ainley has worked with country music luminaries including George Strait, Taylor Swift, Miranda Lambert, Lee Ann Womack, Steve Earle, Dixie Chicks, Emmylou Harris, and Lyle Lovett. 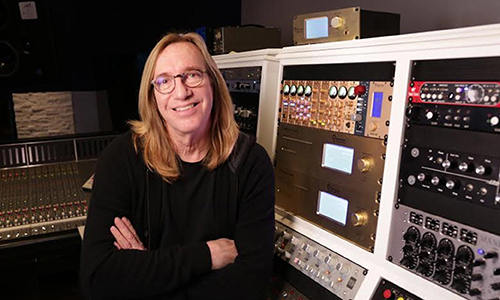 His engineering and production skills have also shone on projects with big names like Peter Frampton, Lionel Richie, James Taylor, and Sheryl Crow. Ian Rogers is a 1990 Goshen High School graduate. While he was a student at Indiana University Bloomington, he was hired by the Beastie Boys to tour with the band and develop their website. Rogers went on to work as general manager for Yahoo Music. He then spent five years with TopSpin, a music marketing company, working with artists including Trent Reznor, Paul McCartney, and Eminem. 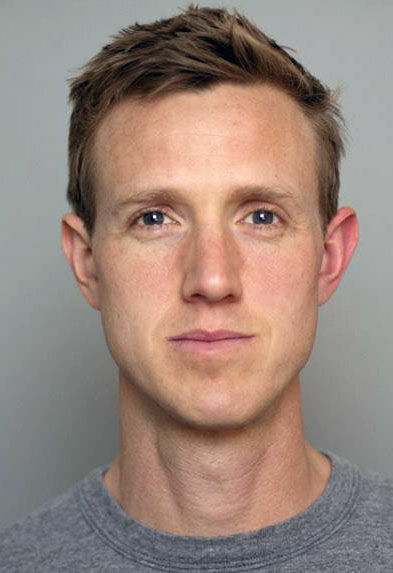 Rogers became the chief executive officer of Beats Music in 2013, rubbing shoulders with the likes of Reznor, Dr. Dre, and producer Jimmy Iovine. He led Beats’ entry into the streaming music market in 2014, and joined Apple Music when it purchased Beats By Dre. At Apple, he headed up the launch of the Apple Music streaming service. Last year, Rogers left Apple to be the chief digital officer at LVMH, a Paris-based luxury goods conglomerate. LVMH brands include Louis Vuitton and Dior. Goshen-based siblings Rick and Tom (vocals/guitar), Michael (vocals/bass), and Patty (vocals/tambourine), and friend Travis Rose (drums) formed the psychedelic-folk band These Vizitors in 1965. The Curtis legacy, however, has proven to be songwriting. Rick and Michael contributed music and vocals to Crazy Horse’s album 1972 album, “At Crooked Lake.” They went on to record demos with Stevie Nicks and Lindsey Buckingham and wrote the song “Blue Letter,” which appeared on Fleetwood Mac’s self-titled 1975 album. They also wrote “Seven League Boots,” which was revamped by Stephen Stills as the 1982 hit “Southern Cross” for Crosby, Stills & Nash. The Curtis Brothers also recorded an album released by Polydor in 1976. Carrie Newcomer, who attended Goshen College, has been called many things, including “a soaring songstress” by Billboard and “rapturously tuneful” by Rolling Stone. She has released 15 solo albums. According to Goshen College, Newcomer has received numerous awards for her music and charitable work. She made WBEZ Chicago and The Chicago Tribune’s list of the Top 50 folk artists of the last 50 years, and also Boston’s WUMB radio station’s list of the Top Most Influential Artist of the past 25 years. Folk Wax Magazine awarded her both Artist of the Year and Album of the year in 2003 and 2007. Newcomer served as a cultural ambassador to India in 2009 and 2011, and traveled to Kenya on behalf of Interfaith Hunger Initiative in 2012. In 2013, she visited organizations in the Middle East focused on non-violent conflict resolution. This April, Newcomer was the speaker during the 118th commencement ceremony at Goshen College. J. Sider, who attended Goshen College, is the founder of BandPage, an online platform designed to help musicians build a presence, post content, and connect with their fans. According to the company’s website, BandPage boasts more than 500,000 musicians using the service. Sider’s success hasn’t gone unnoticed. He has been named to “30 Under 30” lists at Inc. Magazine, Billboard, and Forbes. YouTube acquired BandPage earlier this year. Lapp was a founding member of Double Barrel Darrel and Goldmine Pickers, and is currently a mandolin player and vocalist with Americana roots band The Steel Wheels. The Steel Wheels’ 2010 album “Red Wing” was on the Americana Music Association’s Top 40 chart for 13 weeks, and the track “Nothing You Can’t Lose” earned Best Country Song honors at the Independent Music Awards. The band’s 2012 album “Lay Down, Lay Low” was named the Independent Music Awards Album of the Year. In 2002, Today Show viewers voted former Goshenite Dan Gardner “Today’s Superstar” in the program’s Music Icon talent search, boosting his television, radio, and concert career. He released two albums and his single “More Than Life” was an Adult Contemporary chart hit. Reuben Gingrich is a drummer, composer, and producer who performs with funk/rock/soul ensemble The Main Squeeze. The band has played at festivals including Bonnaroo and Gathering of the Vibes. A graduate of Goshen High School and Goshen College, Anna Montgomery is a songwriter, recording artist, and session vocalist. Her solo discography includes “Lyin’ in the Face of Love,” “The Lean,” and “Triple Seven.” Montgomery was an opening act and backing vocalist for Grammy Award-winning Shelby Lynne, and appeared on The Ellen Degeneres Show, Late Night with David Letterman, and The Tonight Show with Jay Leno. In 2014, Goshen College student Ethan Setiawan was named the national mandolin champion at the Walnut Valley Bluegrass Festival. In May 2015, he was one of the featured performers in a live recording of Garrison Keillor’s “A Prairie Home Companion” at Goshen College. Goshen native Austin Wulliman is a violinist with the Chicago-based string ensemble Spektral Quartet. As a young musician, Wulliman trained with the Goshen College Strings Preparatory Program, a precursor to the Community School of the Arts. Jiménez is an audio engineer and bassist. In addition to running sound at Ignition Music Garage and Goshen College, he has worked alongside big-name artists including Marc Scibilia, Gretchen Wilson, Big and Rich, Phil Keaggy, and Jewel. Jimenez is currently stage manager and guitar tech for country singer/songwriter Thomas Rhett. Jeff Massanari is a recording and performing guitarist and instructor now based in California. The jazz player is also adept at blues, rock, fusion, and country stylings. Massanari’s albums include “Groovework” (2006) and “Hip Flip!” (1996). Holsopple – who graduated from Goshen College with an interdisciplinary degree in music, women’s studies, and anthropology – resides in central New York state and has performed all over the U.S. She is a three-time winner of the New Song Contest at the Walnut Valley Festival in Winfield, Kansas, and she has performed the SXSW Music Festival. Her discography includes “From The Earth,” “Unless,” and “Long Night in a Movie Theatre. 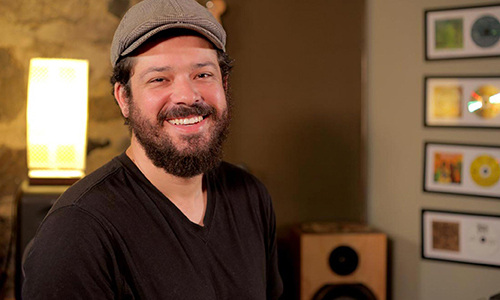 Pittsburgh Magazine lauded Yoder – who graduated with a Bachelor’s Degree in music from Goshen College – as “ruling the Pittsburgh coffeehouse scene.” Yoder’s music has been featured on CBS’ “NUMB3RS” and NPR’s “Car Talk,” among other programs. His albums include “Someday or Never” (2007) and “Excellent Trouble” (2010). Sadie Gustafson-Zook is a fiddler, guitarist, and vocalist who performs styles including swing, Irish, and folk. On her first album, “Melange,” she is backed by her parents, folk musicians Les and Gwen Gustafson-Zook. Her song “Unless I Loved” took top honors in 2011 in the New Song Showcase at the Walnut Valley Festival in Winfield, Kansas. The then-junior at Bethany Christian High School was the youngest person to win a first-place award at the showcase. Sadie is now a student at Goshen College. Formed in Colorado in 2009, the band Zolopht blends a horn section, three-part harmonies, and blues, funk, reggae, and rock influences. It also includes band member Zac Grant (guitar/vocals), formerly of Goshen. Rhoades and Sanders are veterans of the rockabilly/rock unit The Bar Brawl III. Rhoades (bass) performs with John Doe, solo artist and member of Los Angeles punk rock legends X. Sanders (drums) plays with Doug Strahan’s band Strahan & the Good Neighbors, a Texas southern rock, country soul group scheduled to perform at Ignition Music Garage July 8.